Benefits Of Using Stainless Steel Kitchen Equipments. 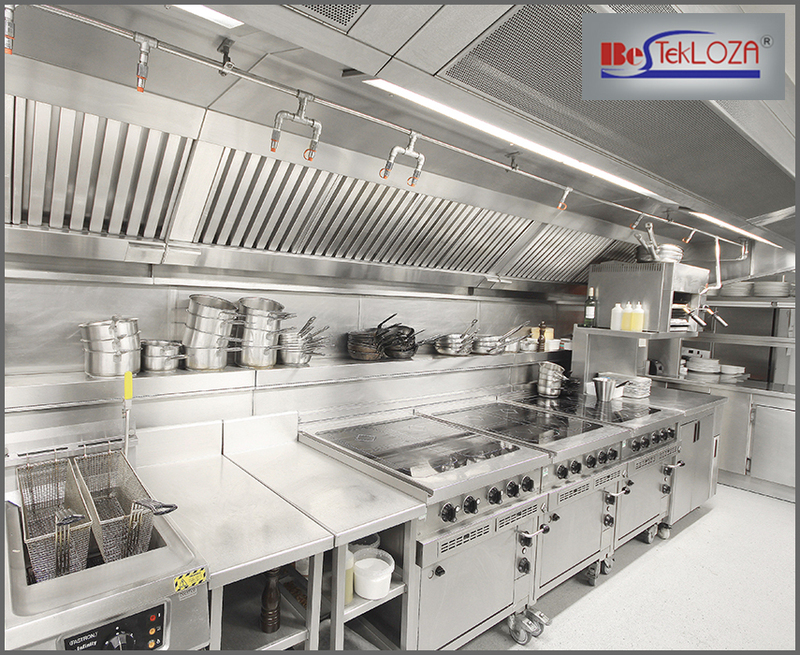 Bestekloza > Industrial kitchen equipment > Benefits Of Using Stainless Steel Kitchen Equipments. Stainless steel kitchen equipments are the best for every commercial kitchen. Explore the benefits of using stainless steel Industrial Cooking Appliances. It is quite obvious that the stainless steel Industrial Cooking Appliances have been the favorite choice of every commercial kitchen and catering businesses. Most of the food servicing businesses prefer to use stainless steel equipments as these products are easy to maintain and looks good too. These days, the modern hotel kitchens are transformed with these finished equipments. These are contemporary, have clean lines, offer elegance to any kitchen design, provide safe contact with the food and are easy-to-maintain. The stainless steel commercial kitchen sinks offer great versatility as compared to the older versions of ceramics. In addition to this, stainless steel is much more damage-resistant as compared to the plastic composites. Despite the continuous messy use, the stainless steel cooking range can withstand rust and stains. Even a stainless steel refrigerator does not get scratches easily. If one is looking for the long-lasting food preparation equipments, the best option will always be the stainless steel products. As stainless steel is a non-porous material so it can resist germs like bacteria better than the plastic products or the wooden surfaces. One can sanitize the food preparation area easily if the items are of stainless steel. Cleaning up is never a problematic task if the cooking surface and the appliances are of stainless steel. Using just a cleaning rag, one can clean up the surfaces or can wipe up any spills. In order to keep the commercial cooking equipments tidy and sparkling, make use of mild washing detergent along with warm water. For the stubborn stains, there are the special cleaning solutions that are readily available in the market now. Due to the popularity of the stainless steel products, finding the kitchen items like fryers, hot ranges, refrigerators, catering equipments, etc. is easier now. One can use damp cloth piece and little amount of mild detergent when cleaning up these polished equipments and surface. Although it is easy to clean stainless steel, a few things are also there that should be considered. Using cleaners containing chlorine is not advisable for the stainless steels. Instead of it, one can use the ammonia-based solutions for killing the germs. Never use any abrasive tool when cleaning such fine and polished kitchen surfaces. Scratches will occur if these tools are used for removing anything on the surfaces or the equipments. In place of these tools, use the softer materials when scrubbing the stainless steel surfaces and appliances.